Danyan, the calypsonian conveys in his 2019 Calypso "Holey Country" satire that: "We does plan to sin, then go and repent". This is powerful stuff but how true is it? What significance is the symbolism of the ash, on Ash Wednesday or Ash Sunday, in the Christian walk or is it mere ritual? Ash Wednesday is observed 46 days before Easter Sunday which is the period of self-restraint and abstention for Christians prior to Easter. It marks the first day of fasting, repentance, prayer and self-control. So are we losing control with drunkenness, immorality and the like just to claim we are 45-46 days in control? Or is it just mere hypocrisy? 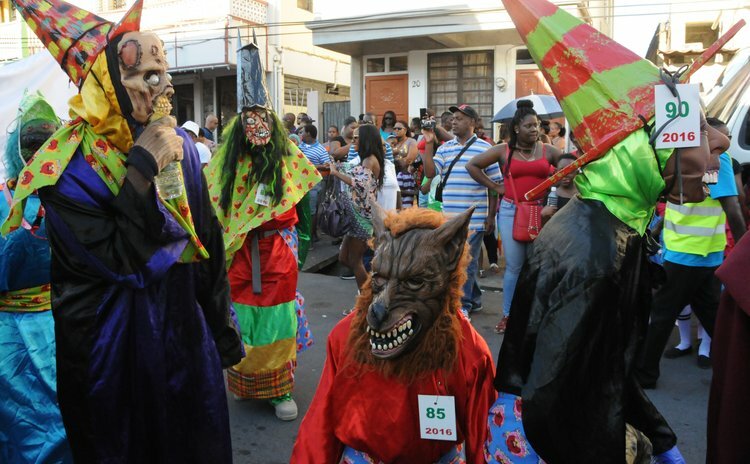 Carnival and Lent is an integral part of our life and culture in the region and must be explored. After the Calypso shows, for me the season is over because I do not partake in the type of revelry I witnessed that is akin to moral decadence. The cultural elements of Sensay, Back Devils are all cultural manifestation of our people which must be sustained but as for the nakedness and drunkenness should we tolerate or do they go hand in hand? What is the purpose of this celebration? This celebration of ourselves is a celebration of our people. "We have come far and in order to go forward we must go back and come again," that's a quotation borrowed from the 2010 publication "Ah come back home" by Smart and Nehusi. It seems to me the gentlemen are suggesting that we have lost it and need to find the root of the celebration and live it, not just stage it. In fact, a deeper study of carnival will indicate that its celebration in Africa's Egypt and other such countries is way older than Europe civilization itself, far less slavery, a few hundreds of years ago. What we have now is a cross fertilization of European and Americans who traveling people of the Caribbean and Catholicism that has now woven from a celebration which happened years ago by Africans along the river Nile. So how did this celebration of color, costume, praise and masking evolve into one of nakedness and drunkenness? Carnival cannot just be about playing Mas. The Thunderbirds carnival band are a prime example of what our celebration and traditions are all about. The Colihaut Ban Move, Lapau Cabrit, Steel Drum, Black Devils, Sensay, Moko Jombie are all rich traditions which must be maintained. Nothing wrong with embracing the new, but it must be in conformity with our values, our morality. Anything we embrace must be rooted in history, to have meaning. To protect what we embrace means to honor our ancestor for what they have passed on. It's no different from a piece of property being bequeathed to a loved one; son or daughter. I assume it would be incumbent on the recipient to take care, preserve and build on what was handed down. If we allow it, through the passage of time to decay- morally or physically we have failed them. However, if we improve on it, as the Thunderbirds have done through organization and structured participation, they smile and the memory and their toil and history becomes indelible footprints for a future generation. So maybe its time to stop jumping with our eyes closed, and re consider how much ash we want in our Mas. This is why Africans have preserved the pyramids and is one of the greatest tourist attractions globally. Surely to just erect modern day buildings at Gaza would be destroying the very existence of the pharaohs, their writings and monument. It's through the sculptured images of the Pharaohs that we understand and come to appreciate the greatness of the black race. Were it not for the pronounced and defined lips, nose, forehead and other features, 'they' would continue to dup us into thinking that these engineering wonders were of white Jews, and that Egypt is not really Africa- its Middle East, so as to deprive us of our heritage. By showcasing our landmarks, relating our story not "his-story", language and other forms of expression help define us. This requires study of us unearthing our past and living it in the present albeit with modern flair and innovations of youth. But youth, if we are not careful, can find a home in other cultures where nakedness, immorality, and sewo for the sake of sewo, is given a home, acceptance, while we move further and further away destroying the foundations laid centuries ago all in the name of modernization while our every breath is sucked away from what's left of the nostrils which once defined our pyramids. So maybe it is time we remove the veil off our eyes and reconsider how much ash we want in our Mas.